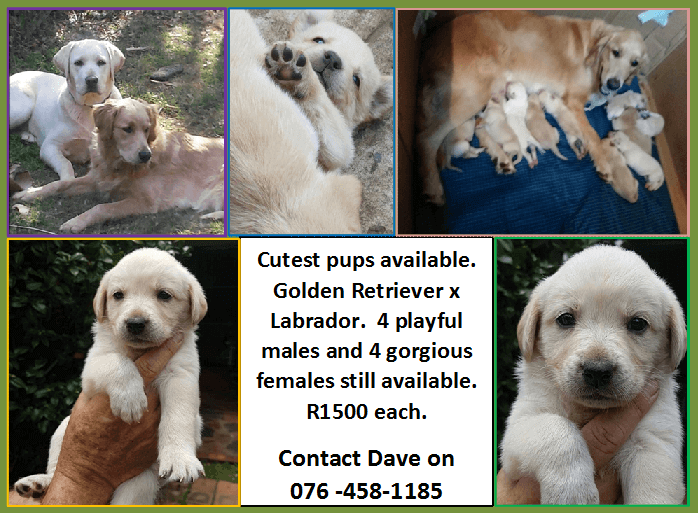 4 male and 4 female Labrador x Golden Retriever pups available to approved homes. Pups have been vet-checked, dewormed and vaccinated. Vet card will be handed over with pup(s). Both parents have amazing temperaments. Pups and parents are available for viewing.